The Long Island Museum of American Art, History, and Carriages, colloquially known as the Long Island Museum (LIM), is a nine-acre museum located in historic Stony Brook, New York. The museum focuses on serving the Long Island community by preserving and displaying its extensive collection of art, historical artifacts, and carriages; providing robust educational and public programming; and collaborating with a variety of other arts and cultural organizations. The museum has been accredited by the American Alliance of Museums (AAM) since 1973 for excellence in exhibitions, programs, and collection care. In 2006, the museum joined a small group of institutions nationwide as a Smithsonian Affiliate. 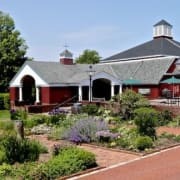 Would you recommend Long Island Museum?